Are you attending Mass regularly at Saint Patrick Catholic Church, but are not registered? Maybe you are moving to the area? Or have you visited and have decided that this is the parish for you? Register today. Registering as a parishioner is easy! It is important and it becomes especially important when a family member wants receive the Sacraments of Baptism, First Communion, Confirmation and Marriage. If you want to be a sponsor for Baptism or Confirmation parish registration is required. 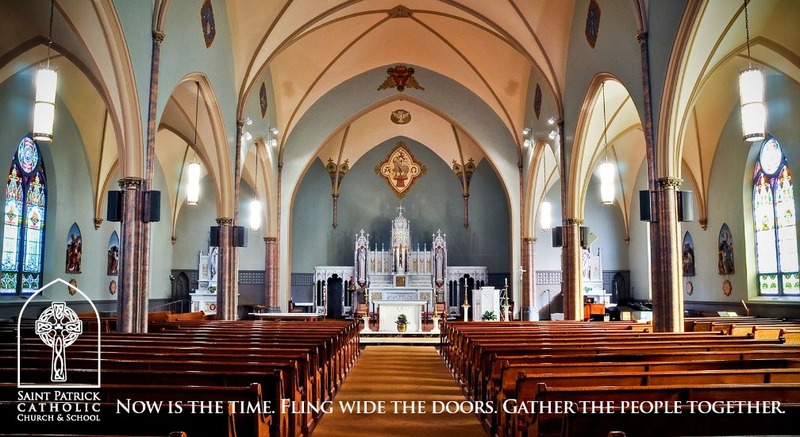 We look forward to having you become part of the Saint Patrick Catholic Church faith community. The online registration form is convenient. In addition to registering as a parishioner, the online registration form also provides registered parishioners a place to update information— like adding that little bundle of joy when you have a baby, a recent move, a new cell phone number or email address. It also has place for you to indicate your interest in programs and ministries and receive more information. The Parish Center is open Monday – Friday, 8:00 A.M. to 3:00 P.M. Stop by and we will walk you through becoming a registered parishioner. Registration forms are also available at the Welcome Table in the Gathering Space of the Church. Ask an usher for details.